Think beyond the box. Take control of your hardware asset and let IQSTAR run it like a state-of-the-art measurement unit. Standardize your benches’ efficiency even with different instruments from one setup to another because with IQSTAR, all instruments are equal. 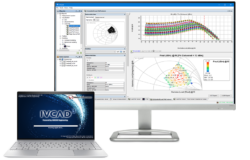 Partnering with Maury Microwave, AMCAD is now offering unrivaled software solutions for RF and Microwave characterizations. IQSTAR does not require any programming skills. It offers the conviviality and the flexibility of a turn-key professional measurement software. Speed up Design cycles and generate measurement reports. With IQSTAR Whiteboard , create your data measurement visualization profile, using interactive charts and tables using sliders, filters and extractors, and save those templates to update your graphs when new measurement files are available. IQS100A-1 is a configurable dataset viewer. The Whiteboard was developed to allow a maximum data exploration with no compromise on the flexibility. Supporting different graph format (2D, 3D) as well as tables and sliders, the Whiteboard allows the user to display the results in any customized way. Plotting the Efficiency curve VS frequency while varying compression point has never been so easy. Add logos, labels and text to the workspace, it will end up with an interactive viewer where the different parameters can be adjusted (Frequency of operation, compression point, specific die on the wafer...) to retrieve information without having to look on multiple graphs or search in long tables. Build measurement report and save this one as a template and never redefine the graphs again. Just drag and drop measurement files and all displays will be updated automatically. IQSTAR’s Workspace can duplicate the simulation visualization environment in the lab. Import the simulation results into the Whiteboard and compare simulation and measurements results with minimum effort. 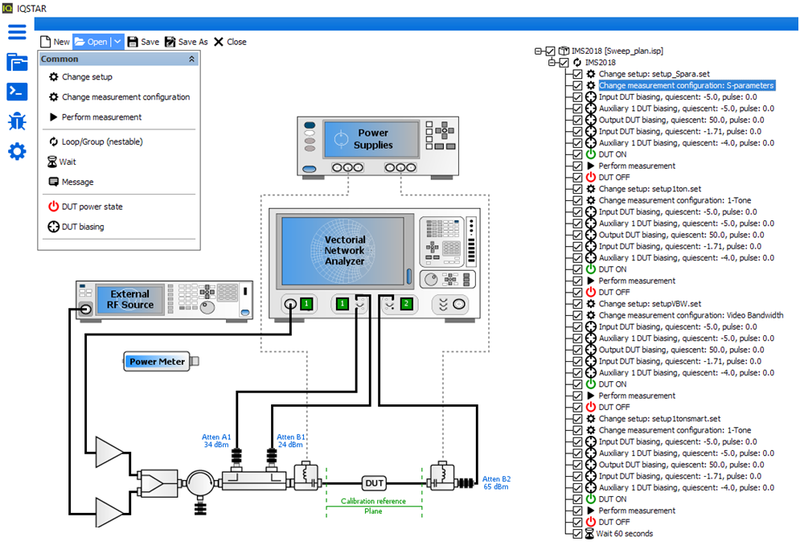 IQSTAR Bench Control standardize your testing procedures with a unified measurement flow. 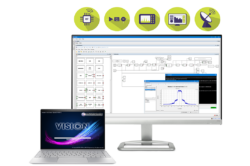 It allows from basic verification to advanced performance analysis of your circuit, leveraging your CAPEX and hardware available in the lab. IQS100B Setup Editor: The flexibility of the schematic editor allows to define a workspace which corresponds to target applications and available instruments. Calibration wizard takes into account the setup architecture and propose only calibration methods possible with such configuration. Instrument control is done through VISA commands and allows different measurement configurations. Sweep Plan Automated measurements is a simple task with IQSTAR. Sequencing measurements with minimum human intervention is a key to an optimal testing efficiency. One person can run multiple benches without sacrificing testing capabilities or speed. User-defined measurement sequences with one-tone, tow-tones, pulsed, and modulated signals have never been so easy. IQS100B-1 Continuous or Pulsed Wave Measurements. 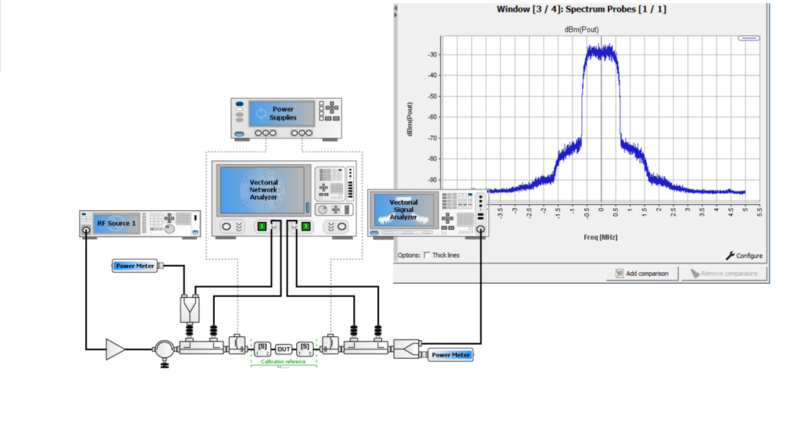 IQSTAR is an intuitive single connection circuit measurement software. It offers fast and accurate compression data at multiple frequencies. Live data plotting during measurement enables a clear pass/fail decision with an eye glimpse. Tuning targets allows the user to determine whether the circuit achieves expected results before the end of measurement sequence. Adjust and save the live data template to compare results in an efficient way. IQS100B-2 IMD Measurements. Consideration of intermodulation distortion (IMD) is very important for RF and MW circuit characterization. 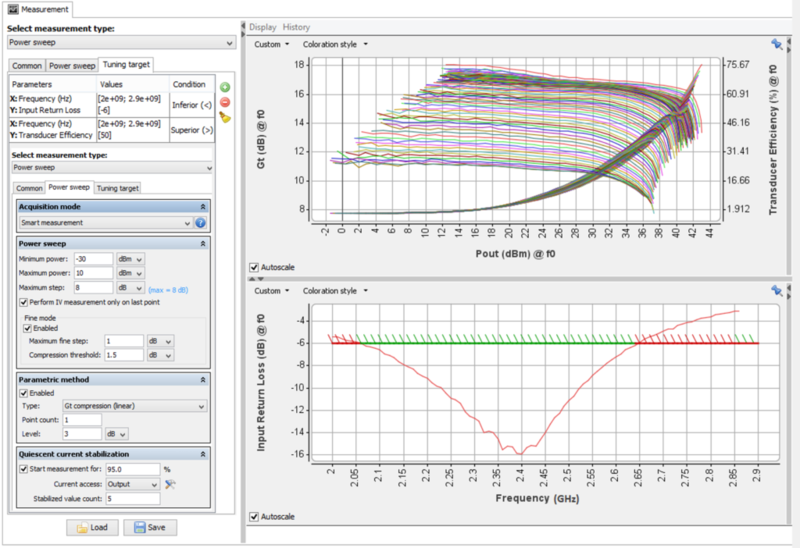 IQSTAR allows a fast analysis of IMD by enabling frequency, tones spacing and power sweeps. Establish the Video Bandwidth (VBW) of your amplifier with a single sweep. Optimize PA’s Video Bandwidth on the fly with real time measurements and trace history function.